For smaller budgets in order to maximise the immediate impact of any changes to your garden it’s best to spend the money on new plants. You could buy a couple of evergreen shrubs or small trees. Herbaceous plants are less expensive so you could buy more for your money. Select smaller specimens as they are usually cheaper, establish more easily and will give you a much better plant longer term. You could also choose plants with a rapid growth rate. Any gaps in the planting can be filled with hardy annuals or bulbs. With a combination of these it is possible to create a planting border with year-round interest. Alternatively you could splash out on an architectural plant, such as a tree fern (Dicksonia antartica), which would be an instant focal point in your garden. You could also paint a feature wall outside to give your garden real impact. This could be a bright contrasting colour or something more neutral. It is sometimes nice doing your garden in stages, watching it grow and take shape, so be patient and enjoy spending time creating it. With an increase in budget simple hard landscaping materials such as railway sleepers, can be considered as well as new plants. Wooden railway sleepers provide a cost-effective way of introducing dynamic shapes and level changes to the garden. They can be used for raised borders, pathways, steps or vertical ‘organ’ pipes. Concrete slabs and gravel could also be considered, for pathways or small patio areas. You could consider putting a lawn in, the cheapest way of including a lawn is to use a simple multi-purpose lawn mix or, for more money a good quality lawn turf. If used regularly consider including stepping stones as a path to prevent damage through wear and tear from foot traffic. Entertaining areas could be transformed with the addition of an umbrella or canopy, cushions and lanterns. Pots and containers are the perfect way to add interest to a neglected corner of the garden, or to give some colour to a small deck or patio. You have more options available with this budget, and, if you are prepared to do some of the labour yourself, you could think about including a small water feature or a garden structure such as an arch or gazebo. Include a new fence to create a secluded area, screen unsightly features such as an oil tank or compost bins, or to provide privacy and shelter. It is a cheaper alternative to using solid walls. Garden furniture such as a patio set (table, chairs and a parasol) or garden benches could be considered. If strategically placed the benches could act as focal points as well as providing seating areas to relax and enjoy different views of the garden. You could also install some garden lighting to extend the use of the garden into the evening. A greater number of plants could be brought, including a number of trees and large shrubs, making significant changes to the planting scheme. This budget would also allow you to seek guidance from a garden designer; they will be able to advise on the best plants and combinations to use to suit the location, producing planting plans illustrating the number of plants required and their position within the border. Some character features, such as urns and statues could be picked up from a local reclamation yard, creating focal points within the garden. With this kind of budget you can think about engaging the services of a garden designer and contract landscaper, to make sure you get the most for your money as well as ensuring all work is carried out to a high standard. 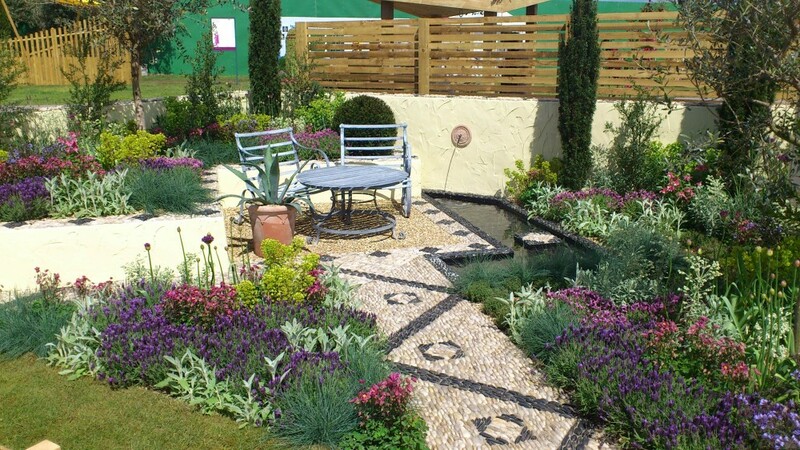 Investing in a small pond or water feature will add a completely different dimension to the garden, through movement, sound and reflection. The sound of running water creates the perfect calm and tranquil atmosphere for you to relax in. Water will also bring wildlife into the garden. A wildlife pond only needs a simple sheet liner with basic planting so won’t break the budget. An ornamental pond is a step up cost-wise as they often incorporate a pump and ornament on top. A patio is the perfect addition to every garden. It’ll give you a dedicated area for dining, lounging or even just for displaying plants in decorative pots. Large garden structures, such as a pergola, gazebo or even a small outbuilding such as a shed or studio could be considered. You could have a pergola over a path forming a shaded walkway, or over a terraced area creating an outdoor room for entertaining. Whatever your budget you can make changes which will help you get the most from your outdoor space. This article written by Andrew Jordan, Garden Designer, was printed in Cirencester Life magazine (March 2013 issue).